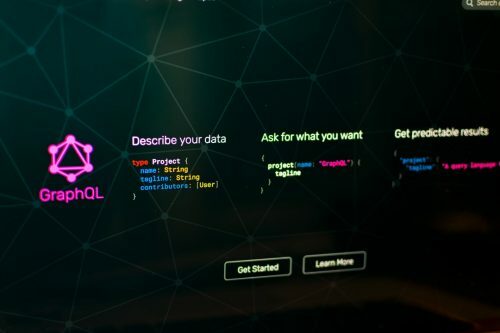 php-jsonq provides an easy, yet powerful way to build queries for any JSON data (or PHP data structures for that matter, which are a step away). This has a variety of useful applications – data migration, API response filtering, complex configurations manipulation, and so on, and so forth. ipstack looks like an excellent IP geolocation service with a beautiful API. If you haven’t used anything except for the MaxMind GeoIP, give it a try. Their pricing is quite good, with 10,000 lookups per month going for free. Database Flow is a modern, Open Source, self-hosted, web-based tool for working with SQL databases and GraphQL APIs. It supports a variety of the database engines: IBM DB2, Oracle, H2, PostgreSQL, MySQL, SQLite, Informix, and Microsoft SQL Server. 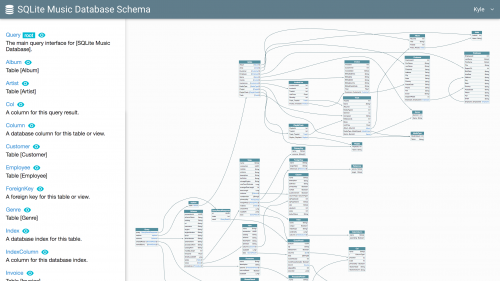 It features an advanced SQL editor, query plan analyzer, GraphQL client, schema explorer, charting, query history, and more. The only visible downside so far is that it’s written in Java. gron – Make JSON greppable! gron is a grep-like tool that specializes in JSON format. Unlike grep, however, it works both way – in and out. Posted on April 25, 2018 Author Leonid MamchenkovCategories All, Linux, Programming, Sysadmin, Technology, Web workTags API, command line, JSON, web developmentLeave a comment on gron – Make JSON greppable! “Introducing the AWS Amplify GraphQL Client” showcases the new GraphQL client that was built by the Amazon Amplify team. It’s pretty sweet. GraphQL is one of those technologies which is constantly on my radar, just waiting for the right time and project to try it on. For now, I’m just slowly moving to that target, collecting links to resources in the meantime. “Introduction & Quick Guide to GraphQL for BackEnd & FrontEnd” is a new addition to my collection. This article, much like many others, provides a brief introduction to the technology. And it also shows a practical example of how to design and implement GraphQL API both on the front and back ends. I give it extra credits for mentioning GraphiQL in-browser IDE for exploring GraphQL. JSON Server is a handy tool for anybody working with or developing the REST/JSON APIs. It’s a ready-made “fake” API server, that is super easy to setup with your end points and your data. And the best part – it’s not just read-only. You can work with POST, PUT, PATCH, and DELETE requests too and the JSON Server will properly update your pre-configured data in the JSON files. I’ve briefly mentioned before that GitHub joined the adopters of the GraphQL for their API. Here’s the link to the full documentation and more details. GitHub chose GraphQL for our API v4 because it offers significantly more flexibility for our integrators. The ability to define precisely the data you want—and only the data you want—is a powerful advantage over the REST API v3 endpoints. GraphQL lets you replace multiple REST requests with a single call to fetch the data you specify. Arnes Blanert wrote an extensive article for the architect magazine on the subject of Single Sign On (SSO). It covers both authentication and authorization via a variety of widely and not so widely used methods, including oAuth, SAML, JSON Web Token and more. As someone who was involved in a variety of Single Sign On implementations (see some of the posts on the subject in my blog), I wish I had an article like this in my RSS feeds much much earlier. oEmbed has been around for a while and there are some really nice implementations of it. For example, in WordPress, where pasting a URL to YouTube video, Flickr photo, Twitter tweet, and a number of other services, will result in a nicely formatted embedded snippet from an external site. WordPress does not only consume the oEmbed, but also provides embeddable content. For a while now, I’ve been thinking about ways to utilize it. There are quite a few applications of oEmbed that make sense for our projects at work. For now, I’ll just leave you here with the link to the oEmbed specification.